As the financial crisis reached its climax in September 2008, the most important figure on the planet was Federal Reserve chairman Ben Bernanke. The whole financial system was collapsing, without anything to stop it. When a senator asked Bernanke what would happen if the central bank did not carry out its rescue package, he replied,"lf we don't do this, we may not have an economy on Monday." What saved finance, and the Western economy, was money. Yet it is a highly ambivalent phenomenon. It is deeply embedded in our societies, acting as a powerful link between the individual and the collective. But by no means is it neutral. Through its grip on finance and the debts system, money confers sovereign power on the economy. If confidence in money is not maintained, crises will follow. 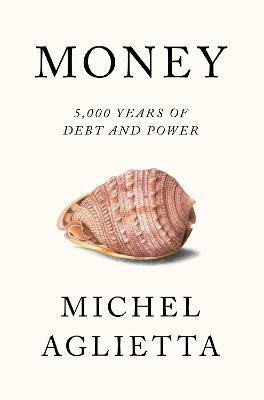 Looking over the last 5,000 years, this book explores the development of money and its close connection to sovereign power. Michel Aglietta mobilises the tools of anthropology, history and political economy in order to analyse how political structures and monetary systems have transformed one another. We can thus grasp the different eras of monetary regulation and the crises capitalism has endured throughout its history. Michel Aglietta is Emeritus Professor at the Universite Paris-Ouest, where he is a scholarly advisor to the CEPII and France Strategie.